As the Blessed Virgin is the mother of holy love and hope, so also is she the mother of faith: I am the mother of fair love, and of fear, and of knowledge, and of holy hope. [Ecclus. 24:24] And with reason is she so, says St. Ireneus; for "the evil done by Eve's incredulity was remedied by Mary's faith." This is confirmed by Tertullian, who says that because Eve, contrary to the assurance she had received from God, believed the serpent, she brought death into the world; but our Queen, because she believed the Angel when he said that she, remaining a virgin, would become the mother of God, brought salvation into the world. For St. Augustine says, that "when Mary consented to the Incarnation of the Eternal Word, by means of her faith she opened Heaven to men," Richard, on the words of St. Paul, for the unbelieving husband is sanctified by the believing wife, [1 Cor. 7:14] also says, that "Mary is the believing woman by whose faith the unbelieving Adam and all his posterity are saved." Hence, on account of her faith, Elizabeth called the holy Virgin blessed: Blessed art thou that hast believed, because those things shall be accomplished in thee that were spoken by the Lord. [Luke 1:45] And St. Augustine adds, that Mary was rather blessed by receiving the faith of Christ than by conceiving the flesh of Christ. Father Suarez says, that the most holy Virgin had more faith than all men and Angels. She saw her Son in the crib of Bethlehem, and believed Him the Creator of the world. She saw Him fly from Herod, and yet believed Him the King of kings. She saw Him born and believed Him eternal, She saw Him poor and in need of food, and believed Him the Lord of the universe. She saw Him lying on straw, and believed Him omnipotent. She observed that He did not speak, and she believed Him infinite wisdom. She heard Him weep, and believed Him the joy of Paradise. In fine, she saw, Him in death, despised and crucified, and, although faith wavered in others, Mary remained firm in the belief that He was God. On these words of the Gospel, their stood by the Cross of Jesus His Mother. [John 19:25] St. Antoninus. says, "Mary stood, supported by her faith, which she retained firm in the divinity of Christ." And for this reason it is, the Saint adds, that in the office of Tenebræ only one candle is left lighted. 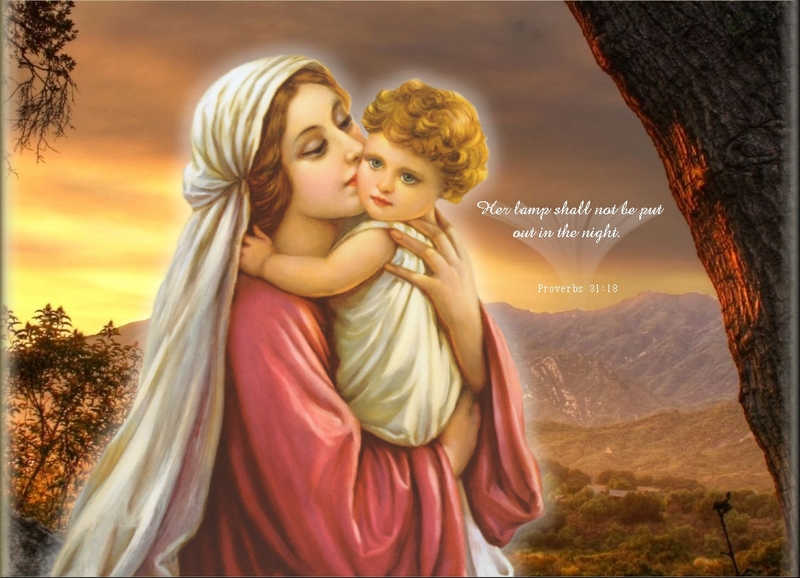 St. Leo, on this subject, applies to our Blessed Lady the words of Proverbs, Her lamp shall not be put out in the night. [31:18] And on the words of Isaias, I have trodden the wine-press alone, [63:3] St. Thomas remarks that the prophet says "a man," on account of the Blessed Virgin, in whom faith. never failed. Hence Blessed Albert the Great assures us that "Mary then exercised perfect faith; for even when the disciples were doubting she did not doubt." Therefore Mary merited by her great faith to become "the light of all the faithful," as St. Methodius calls her; and the "Queen of the true faith," as she is called by St. Cyril of Alexandria. The holy Church herself attributes to the merits of Mary's faith the destruction of all heresies: "Rejoice, O Virgin Mary, for thou alone hast destroyed all heresies throughout the world." 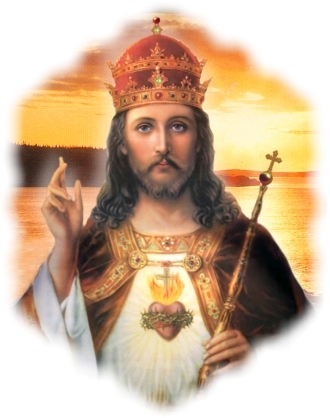 St. Thomas of Villanova, explaining the words of the Holy Ghost, Thou hast wounded my heart, my sister, my spouse ... with one of thy eyes, [Cant. 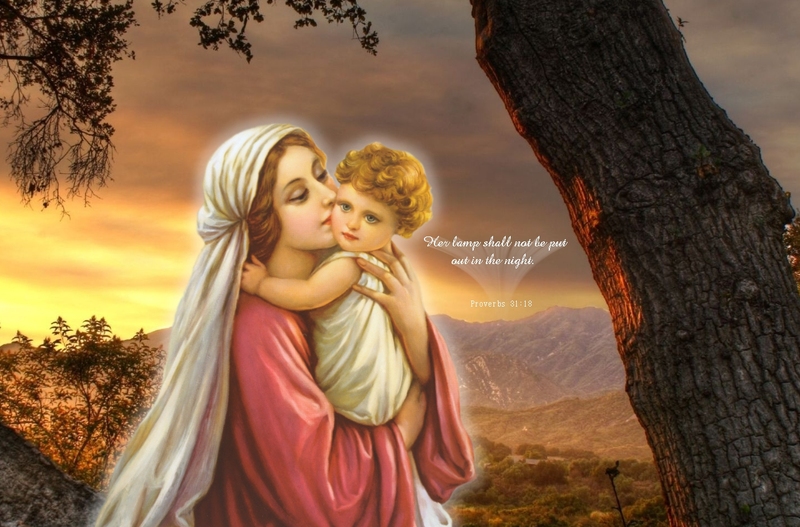 4:9] says that "these eyes denoted Mary's faith, by which she greatly pleased the Son of God." Diogenes sought for a man on earth; but God, amongst the many faithful, seems to seek for a Christian, for few there are who have good works; the greater part have only the name of Christian. To such as these should be applied the words once addressed by Alexander to a cowardly soldier who was also named Alexander: "Either change thy name or change thy conduct." But as Father Avila used to say, "It would be better to shut up these poor creatures as madmen, believing, as they do, that an eternity of happiness is prepared for those who lead good lives, and an eternity of misery for those who lead bad ones, and who yet live as if they believed nothing. St. Augustine therefore exhorts us to see things with the eyes of Christians, that is to say, with eyes which look at all in the light of faith; for, as St. Teresa often said, all sins come from a want of faith. Let us therefore entreat the most holy Virgin, by the merit of her faith, to obtain us a lively faith. "O Lady, increase our faith."